In addition to surpassing 20,000 Facebook “likes” in August, here are 5 posts from our page that got lots of attention. #1. 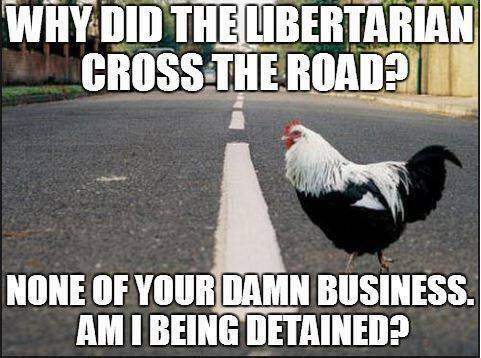 Why Did the Libertarian Cross the Road? Want to join the conversation? Follow Flex on Facebook today!